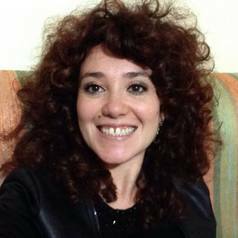 Michela is an associate lecturer in Screenwriting and Television Studies at Falmouth University. She is a researcher into visual climate change communication and she is co-funder of the 'The Script Department.net'. She is also a member and advisor for the Media and Persuasive Communication Network at Bangor University where she is near completion of her PhD thesis about the production process of climate change films. She is currently the co-leader and producer of 'Visually Capturing CO2', a series of projects that involves the production of climate change visuals in collaboration with the department of engineering at Swansea University. Her latest paper on the role of films in environmental communication can be found as a chapter in the first "Handbook of Climate Change Communication" by Springer. Her latest short environmental film "Be Tradition", available on YouTube, is about utilisation of carbon dioxide with green energy and uses 'tradition' as a metaphor for 'sustainability'.